A special delivery of twelve quacking ducklings arrives at the farm and disrupts the routine, peaceful life of the barnyard animals. It’s chaos in the barn! Where will they sleep? Will there ever be peace and quiet on the farm again? Kids of all ages will QUACK out loud when reading and counting the Quackers in this fun and lively barnyard counting book! LET’S GET QUACKING! QUACK! QUACK! QUACK! 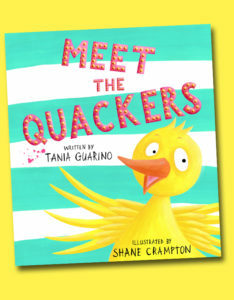 Written by Tania Guarino Illustrated by Shane Crampton Buy the book at Amazon or Clear Fork Publishing and wherever books are sold! 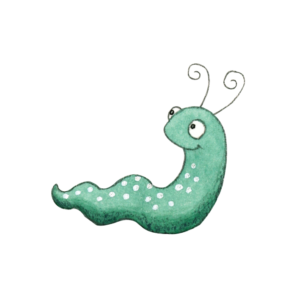 Follow along with a “wiggle, hop, wiggle” and a “swishy, swish, swoosh” through this delightful counting adventure. 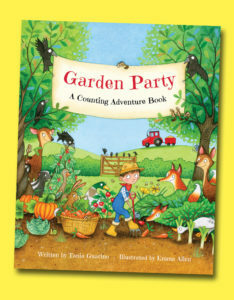 Join the fun as these adorable woodland animals celebrate good friends with a party in the garden! Thanks to Farmer Dale’s goods, they fill their bellies with red ripe tomatoes and all sorts of yummy treats. Won’t he be surprised! A visually exciting, playfully mischievous escapade…down Farmer Dale’s Trail. Children will delight in amusing text, counting, rhyme, and repetition, in this fun read aloud! Farmer Fran and her barnyard animals are back in this hilarious companion book to MEET the QUACKERS! 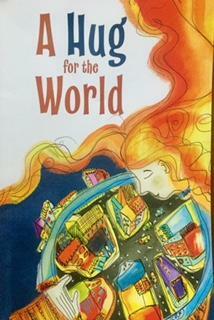 Tania’s poems, On a Starry, Starry Night, and, Pirate Moon, are included in this anthology filled with poems and short stories for children. All proceeds from the sales of the book will be to benefit the victims of Hurricane Harvey. Please visit clearforkpublishing.com to purchase a copy. HUGS!